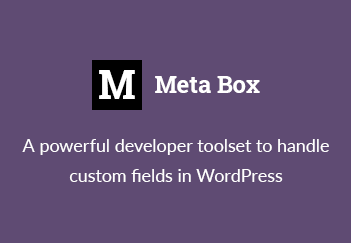 By default, WordPress searches only in post title and post content, and it’s not enough when you have many additional data in custom fields (post meta) and you want that data is searchable as well. This post will show you how to search in all custom fields to get more results. If you want to search only for ONE or TWO custom fields, you should use built in WordPress meta_query variable. But that method is not suitable if you want to search ALL custom fields. Because if you have many custom fields, the query will be huge, and thus WordPress takes a very very long time to execute the query. In my test with about 10 custom fields, it takes more than 1 minutes without any results! $post_ids_meta = $wpdb->get_col( $wpdb->prepare( "
$post_ids_post = $wpdb->get_col( $wpdb->prepare( "
In the code above, I show the code to get search query for custom search form or default WordPress search form, just comment/uncomment them to fit your requirements. The code above search for the presence of the keyword in ALL custom fields and in the post title, post content. The results are arrays of post IDs. Then we built the custom query, using the built-in WP_Query class, this way we can use template tags for easy display post information. You can paste this code into the search.php of your theme to replace the built-in search functionality. Or you can paste into the custom search page. The code runs quite quickly. The extra 2 simple query doesn’t hurt your website performance much. And we don’t need to worry about it. But if you find any optimization for this method or a better solution, please let me know in the comments! Update 1: Add like_escape for $keyword. Thanks Manny. Update 3 (July 24th, 2015): like_escape is deprecated. Use $wpdb->esc_like instead. You should escape your query with $wpdb->prepare. Great tip. Searching “all” is often usefull. Thanks for pointing that out! Actually, I wanted to use prepare method, too. But it was confused when putting %d in the LIKE statement. prepare() add ” so your % must be inserted before. Great! Why I didn’t think about this??? Post updated. Thanks! I copied and pasted your 2nd code into deafault template twentyeleven search.php file but it wont work. Can you explain please? I’ve just rechecked again, and see it’s working well. What’s your bug? Nice point! Post updated. Thanks! That solution is what I was looking for since 2 weeks. I need to create a custom fields hand made query to check in 28 fields. Is not for a real state site but something with a similar custom search in fields form. I understand that this way is best than wp meta_query because it can’t solve my problem due mysql dead each time i launch the multiple custom fields query using meta_query. I’m not using WordPress search form. I’m using a custom form and the search page recibe values to ask for. Work’s fine if I only ask for one meta, no matter what meta but if I ask for more than one meta it isn’t works. Looks like your SQL statement is not correct. You should use LIKE ‘%something%’ instead of LIKE ‘something’. Or you better remove 1=1 to make the conditions clearer and you’ll see how it works. This is really helpful, thank you. I’ve got this working perfectly except that I can’t get pagination to work with this. No matter do, anything beyond page 1 give pulls up no posts even though there are some. I am using kriesi_pagination but even if I swap that out with the default WP pagination, it doesn’t pull up anything. Any thoughts on how I might get this to work? Thanks again for a great post. I’m having exactly the same problem. I can’t get pagination to work. Even if the number of pages are displayed correctly, posts_nav_link are not showing. Did anyone manage to get the pagination to work? If yes, please share how. The reason I was having a problem is because I was using this in the WordPress search page and the search parameter was causing the issue. I created a new custom search page and used this query as my custom search and the pagination issue was resolved. It’s been a while, so I don’t remember all the details, but that was the basic issue. How would you search all the post meta but not search one specific meta_key value? For example, you have 20 custom fields – you only want to search 19 of the values of those custom fields. Hey, this is really brilliant but it only works while searching for 1 word. If i search for 2 or more words no results are found. Hi, I’ve been looking for ages for a good way to do this but I’m a bit of a beginner when it comes to wordpress and php in general so I was wondering if you could tell me where this needs to go in search.php? Probably a really stupid question but I just can’t work it out! This has been a great help allowing me to extend the functionality of something I’ve been working on. With that said, I’ve hit a snag that I can’t seem to resolved. The results return my home page. This wouldn’t be a problem if I could tell it to return something different but for the life of me I can’t figure it out. I believe this is because of the way the query is being determined, straying from the core WordPress functionality (which is understandable given the functionality this code is providing). At the very basic I just need a way to determine if the user search something that was a) blank, or b) no matches were returned. From here I can do what I need to do. I’m OK with it showing my home page, I just need to be able to return a message letting the user know that the search was blank or unmatched. What I’m working on can be found here: http://ml.utility.bz (although it is slow at the moment as it isn’t optimized yet). Not sure if anyone has run into any similar issues. Hi! Thank you for share it, is a very usefull script. Works fine. How I can do for to use the select filter properly? Thank you – great code! the code outputs all posts as found (I still do not know why!?). I wanted to check if results are found or not. If results are found: Output the results. -) What do you think? -) Why outputs the original code all posts as found if there are no posts found? -) How to implement a “exact phrase search” – like “sentence=1” in WP search? Nice tip, Tan! Thanks for stepping by.